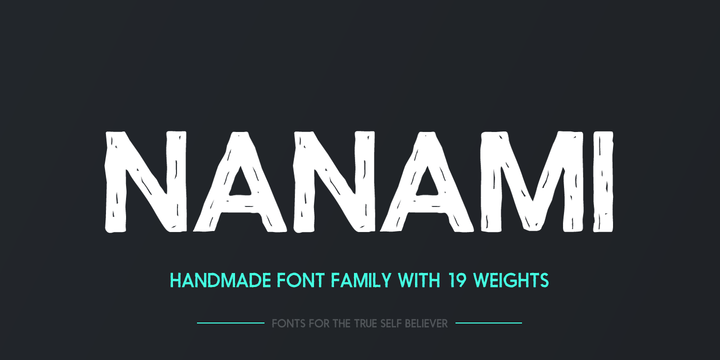 Nanami Handmade is a contemporary typeface created by Alex Haigh and published by Thinkdust. Besides Nanami & Nanami Rounded, you need to enrich your collection with Nanami Handmade. This handwritten sans-serif font comes in two styles (a solid and hand-drawn) each with their eight weights. It has a basic character set that working well in small and large sizes and a language character set. It was designed to be suitable to many web applications. Enjoy! A font description published on Tuesday, June 3rd, 2014 in Fonts, Thinkdust by Alexandra that has 4,291 views.